Aligning an IT organization with ITIL invariably means translating the text-based, often academical content of the ITIL books into every-day business practices. Figuring out how the text-based recommendations from the ITIL books translate into implementable ITIL process flows requires a lot of time and effort. 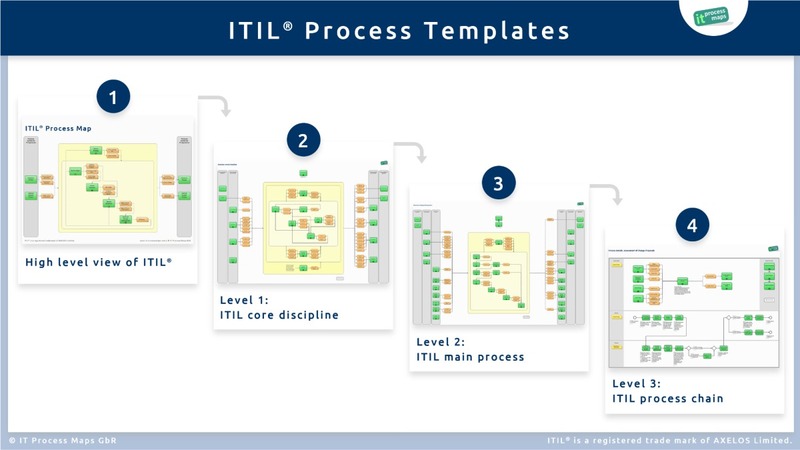 Using ITIL process templates you don't have to do this on your own or with the help of consultants. Starting from existing ITIL templates rather than from a white sheet of paper is a huge advantage: A standard ITIL reference process model contains complete and professionally designed process templates for all standard ITIL processes. The graphical and navigable representation facilitates an understanding of the ITIL processes and their complex interrelationships. The various process models and the complementary project manual provide guidance on how to set up and carry out ITIL initiatives. Process design and documentation are done by adapting the provided ITIL templates and ITIL checklists to the IT organization's specific needs. The ITIL Process Map is a complete ITIL reference process model. It contains a complete set of process overviews and activity flows for IT service management according to ITIL. 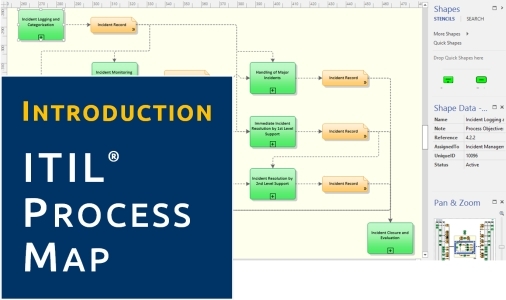 A first introduction to the ITIL Process Map with contents from the ITIL service operation and incident management processes. 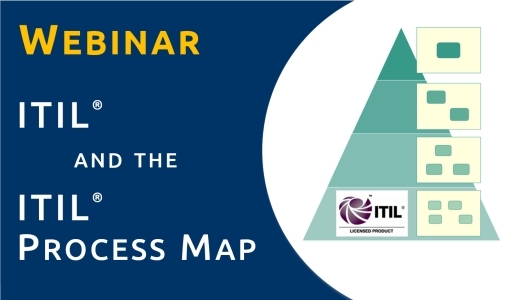 A recorded version of the webinars on the ITIL process model we offer on our web site. The ITIL Process Map is on LinkedIn, where we keep you updated about ITIL, the IT Process Wiki and our ITIL process templates.